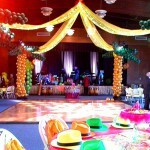 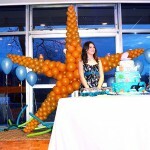 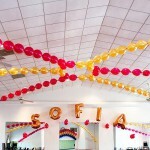 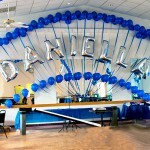 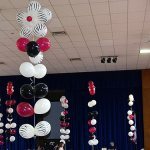 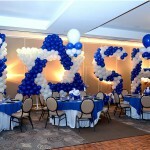 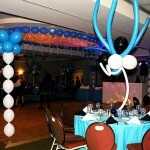 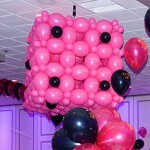 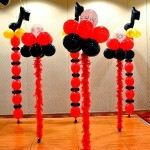 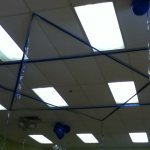 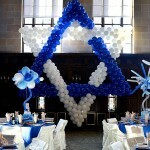 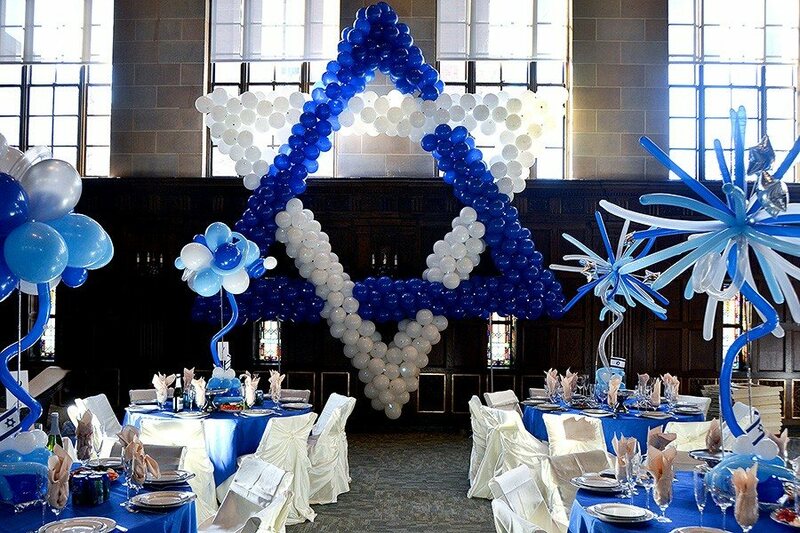 Bat Mitzvah party in a big room with a very high ceiling. 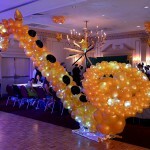 So we did a huge (almost 20' high!) 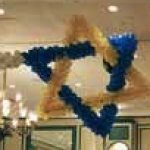 Star of David to bring the theme out. 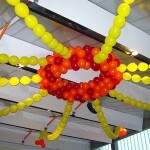 To push it even further, we almost cover the front surface of the balloon sculpture with blinking lights. 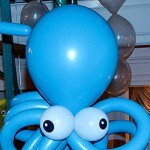 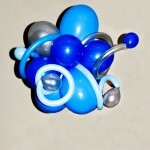 You can see the video (the link will come soon) where every balloon on the sculpture is blinking on its own. 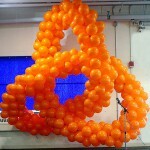 I have to admit (even I do not want to!) 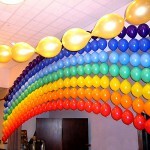 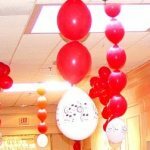 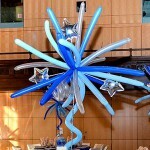 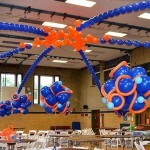 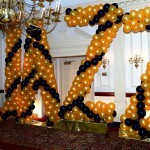 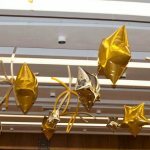 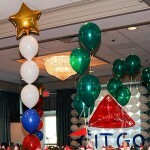 that balloons with light is a lot more than balloons!